In a speech to a joint session of Congress Tuesday night, President Donald Trump outlined five principles to guide lawmakers when repealing and replacing the Affordable Care Act. “The way to make health insurance available to everyone is to lower the cost of health insurance, and that is what we are going to do,” the president said. The first principle, Trump said, is to ensure that individuals with preexisting conditions have access to coverage and to make sure that there is a stable transition for Americans who currently have coverage through Obamacare. Second, the president touted the use of tax credits and expanded Health Savings Accounts so Americans can purchase the kind of coverage they want, not a plan that is forced on them by the government. Third, Trump said that governors should have the resources and flexibility they need regarding Medicaid coverage to ensure that no American is left out. Fourth, the president pushed for legal reforms to protect doctors and patients from costs that drive up the price of insurance and bring down the artificially high price of drugs immediately. The last principle, Trump said, is to give Americans the freedom to purchase health insurance across state lines, which will create a competitive national marketplace that will drive costs down and provide better care for Americans. 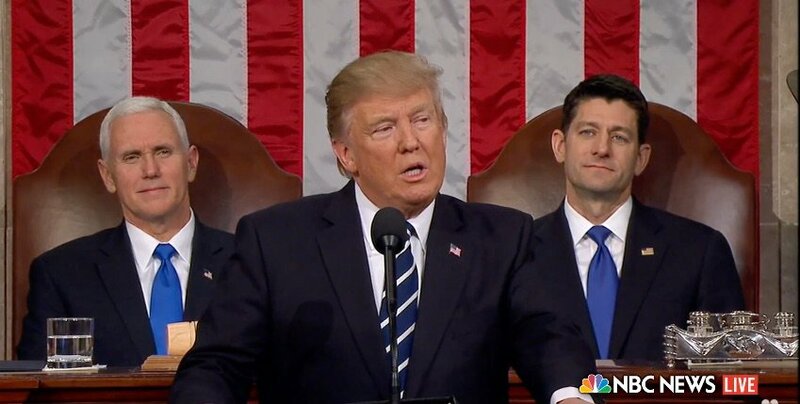 The five principles that Trump mentioned are all reflected in the House GOP’s replacement plan that Speaker Paul Ryan (R., Wis.) introduced last June, called “A Better Way.” While instructing Congress to let these principles guide them in creating a “better health care system for all Americans,” he did not mention a specific replacement plan by name that he would implement.